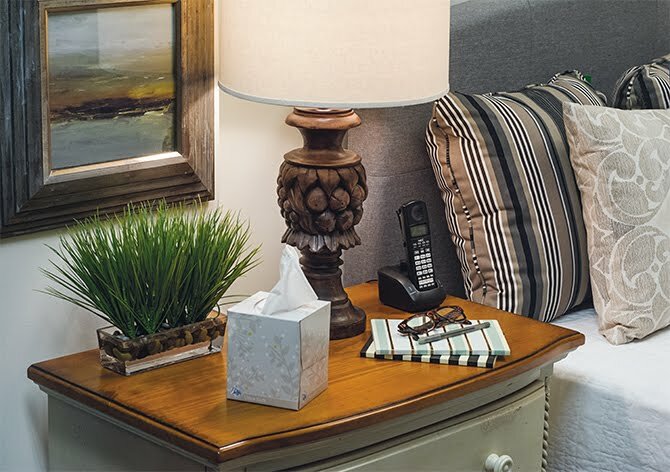 Transform your bedside table into a beautiful and useful piece with these simple tips from Connie Roitman, owner of Eyedia Design It Again. 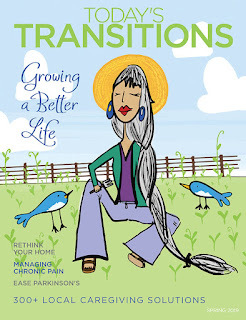 Connie says you should only keep necessities at your bedside to avoid the potential for developing clutter. Having a designated spot for items makes it easy for you to find what you need quickly. She also suggests choosing a lamp with a small base to save on space and give you more leverage for adding decorative pieces. 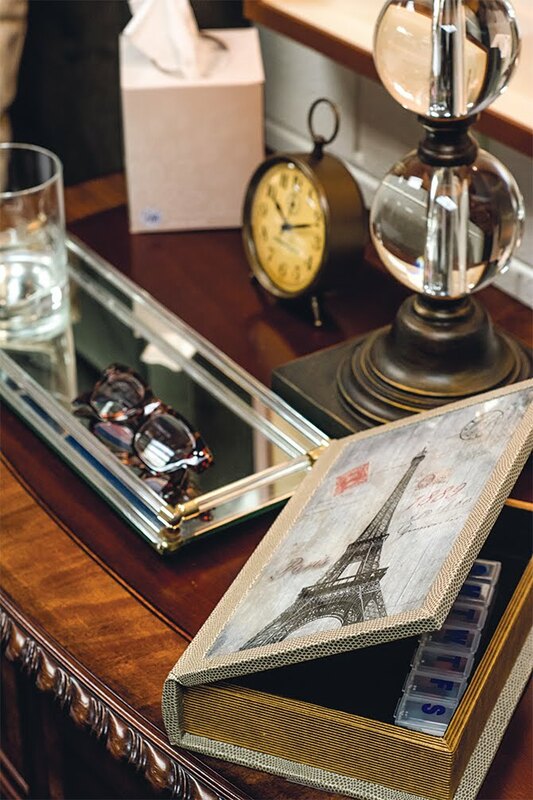 Use an attractive glass vanity tray as the main spot to place your glass of water or eyeglasses. The book box beautifies your space but can be used to store other small necessities. If you need accessibility to multiple items, choosing a bedside table that has one or two drawers is best for additional storage. 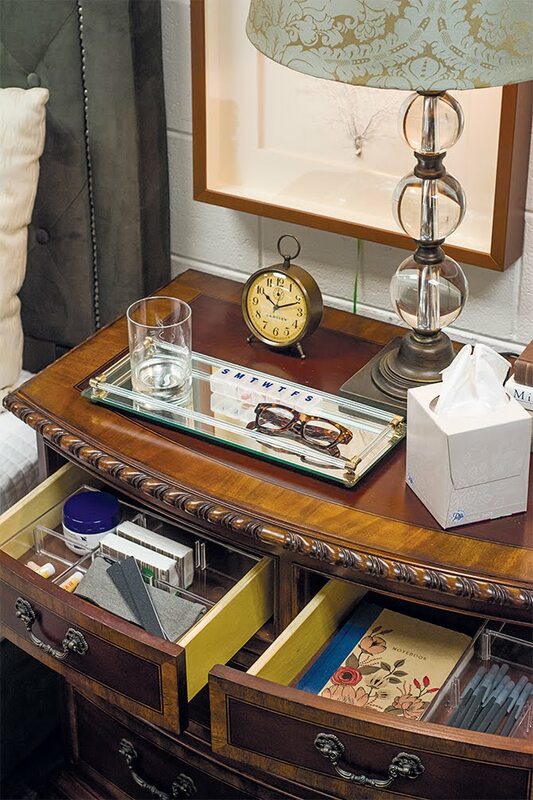 These clear plastic organizers, which have been placed in the drawers, will help you find your items easily.